Embraced by the Indian Ocean. Amaya Kuda Rah is an enchanting island dream. This slice of paradise is a gateway to some of the Maldives’ most extraordinary dive sites such as Kuda Rah Thila, home to grey reef sharks. Napoleon fish and sea turtles. At Amaya Kuda Rah, you can explore this underwater world and embark on inspiring natural Journeys. 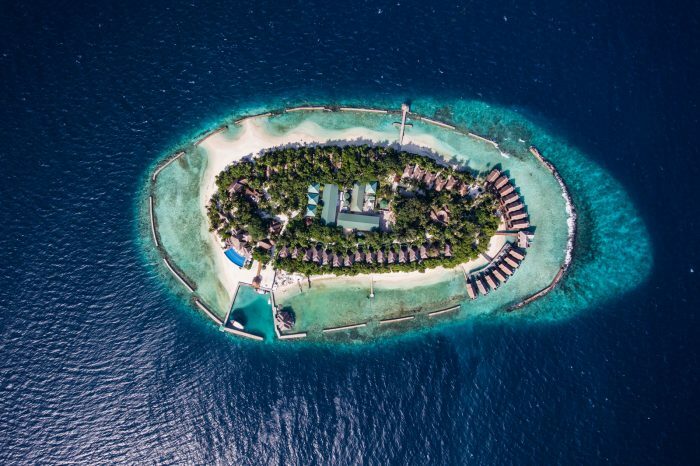 This Island resort has 51 villas including one Presidential Suite with a private pool. The restaurants Includes the Sea Spray – serves freshly caught seafood and other international delights and Glow – the bar by the pool serving some creative cocktails and light snacks. Kuda Rah has a Spa and plenty of water sports activities including diving to nearby deserted Islands.